The minute I heard the campaign concept Anthony Henriques and his team at PARTNERS+simons had conceived for their new client, William Gallagher Associates, I could feel the adrenaline rush. William Gallagher were insurance brokers specializing in risk assessment. The campaign was titled “Ignorance is Risk” with three ads showing people completely oblivious in dangerous situations. A tourist in a bathing suit and flippers photographing a great white shark at close range. A couple having a picnic in the middle of a busy highway. 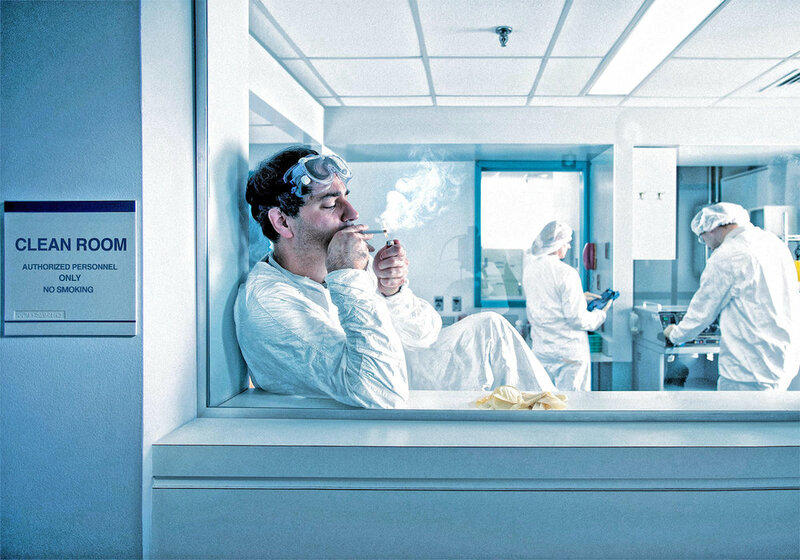 And a lab technician smoking in a “Clean Room.” I was psyched and my brain was going at warp speed. This was going to be fun. Great stock image of a great white, perfect for the job. 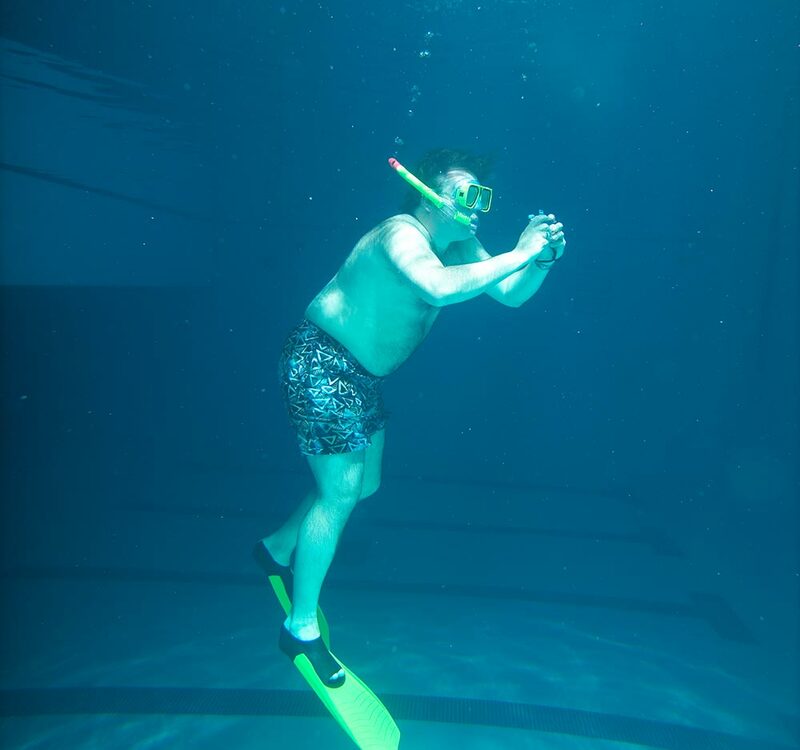 All we had to do was shoot our model underwater in snorkel gear and a point-and-shoot camera. We would composite the two images together and make it as seamless and believable as possible. 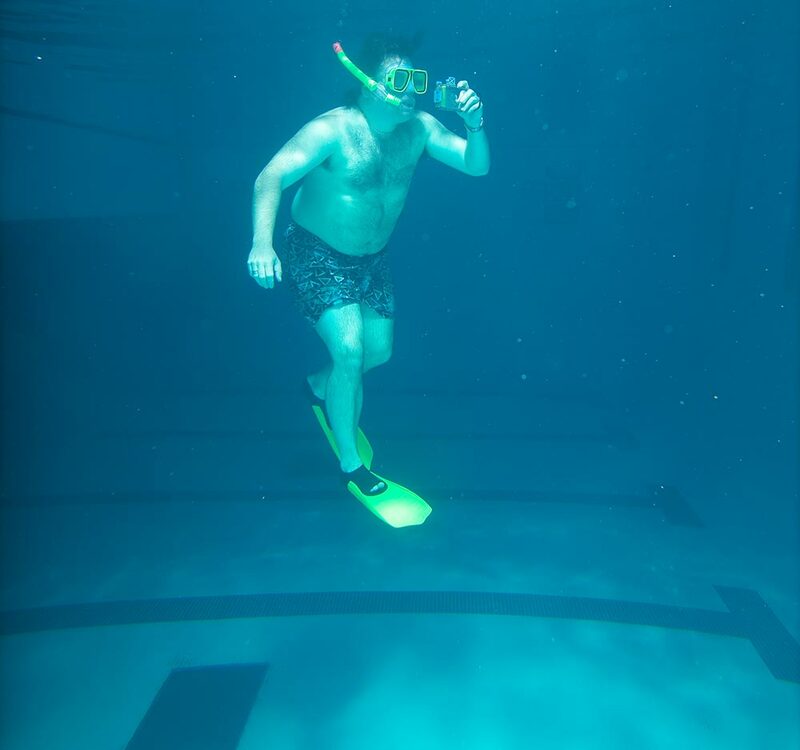 Our location scout contacted the Athletic Director at Northeastern University and arranged for us to use their indoor pool. It was ideal, with a window on the lower level through which we could shoot. We put a flash head on a boom over the water to create the sunlight I desired, and went downstairs where the camera and computer were set up. We had radio communications at poolside, so we could direct the model without running up and down the stairs. The light on the boom out over the water gave us the same dappled light as in the stock shot of the shark. It was a good way to start the campaign! The imaging also went very smoothly, with moderate enhancement, enlarging the camera a little, and adding some bubbles. Obviously we couldn’t stage a picnic in the middle of a highway. And shooting from the center strip of a six lane interstate wasn’t very feasible. On my way home, I drove along a stretch of I-95 which ran nice and straight for at least a couple miles. There was a grassy median strip between the north and southbound lanes about a hundred feet wide. 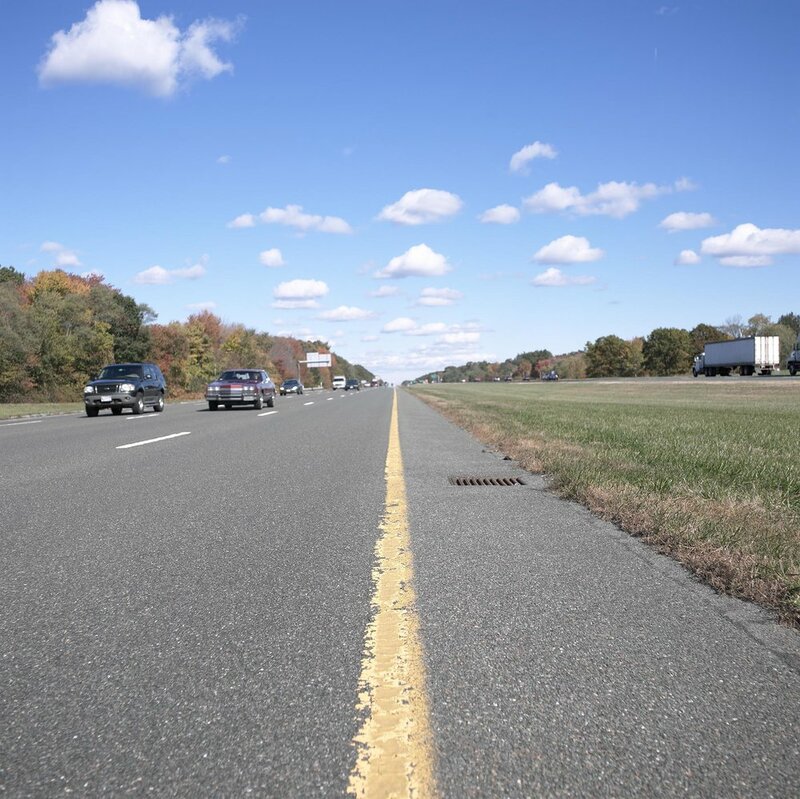 I got thinking, if I could shoot right in line with the yellow stripe on both sides of the median strip, I could take the grass out, bring the north and southbound lines together, and create my own highway. A State Police detail was hired to block off the inside lane, to keep me from getting flattened while I shot both the north and southbound lanes, The camera was close to ground level and centered directly over the yellow stripes. A beautiful, sunny afternoon with puffy clouds created the perfect scenario. We booked a couple of models and set up a picnic back at the studio. The lighting setup mirrored the light on the highway as closely as possible. If you look, you can see a hand on the left with a compressor hose blowing their hair. The picnic got silo’d and combined with the highway. Careful scaling, a warm palette, and attention to detail finished it off. The final image was the clean room. Our stylist found a great location with an unused area for us to create the setting. We brought a sheet of clear plexiglass with a metal frame around it to create a window in the foreground. There are very subtle reflections in the “window” if you look closely enough. We couldn’t have a Clean Room which wasn’t completely enclosed! There was plenty of equipment at our disposal to fill our the lab setting. It took us a while to get the lighting the way I wanted, and then it was up to the main model to do his thing. A good bit of retouching and added cigarette smoke created a rather “unclean” room effect, and that’s a wrap!